Betty Franklin is a Mental Fitness Expert. She works with wellness and health professional, struggling with overwhelm and burnout, to achieve clarity and focus, so they step into all aspects of their life with energy, enthusiasm and purpose. She does this through her transformational coaching program, thought-provoking workshops and inspiring book – GUTS – Get Uncomfortable To Succeed – Embracing Health, Balance and Abundance. As a thought leader, Betty delivers workshops and presentations focused on mental fitness and an integrated approach to life and well-being. Her unique “F” Words approach provides simple, yet challenging, strategies to help people find the GUTS to live their lives well as they also address issues often ignored or overlooked. Betty’s message resonates with audiences. As a coach, Betty works with professionals who are in emotional and mental pain, feel overwhelmed, frustrated and like they’ve come up against a brick wall. 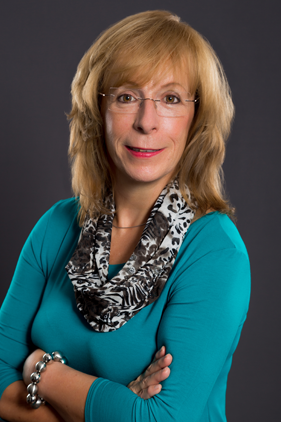 She helps her clients clarify their direction, strategize their actions, upgrade their skills, optimize their environment and master their psychology. They become focused, and unstoppable as they identify what has been holding them back, learn new skills, embrace who they are and advance towards the life they desire. Her message has been delivered to many organizations some of which include: Sheridan College, University of Ontario Institute of Technology, Medix College, Registered Nurses Association of Ontario, Peel Public Health, Ontario Dental Education Institute, Royal Victoria Hospital, West Park Healthcare Centre, Freedom 55, Edward Jones, SunLife Financial, Epilepsy South Central Ontario. This is Betty when she began her nursing career. 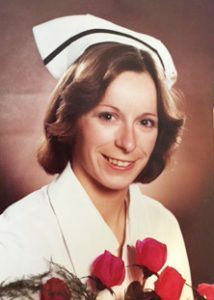 Betty’s broad life and nursing experience, coupled with her personal journey through a mental illness diagnosis, resulted in transitioning her career from providing critical care in response to illness and disease, to one where she attacks disease on its true “frontline” – providing education and motivation aimed at promoting healthy lifestyles and preventing the onset of disease in the first place. Today, as a nurse in independent practice, Betty provides a unique health promotion program that offers an integrated approach to living life well. With a focus on mental fitness and holistic well-being she helps maximize personal effectiveness, while enhancing relationships, careers and life as a whole. Betty is passionate about motivating people to take command of their life. Her programs focus on mental fitness and well-being through a holistic approach that transforms lives from Good, to Better, to Best! In doing so, she challenges her clients to be accountable for their lifestyle. She encourages them to be self-aware and take charge as she supports, guides and empowers them to achieve more.